There’s a bit of magic in a song. Their tune or lyrics can transport us back into a moment in time almost immediately. When we’re sad, or happy, there may be a song that makes us feel whole again. Sometimes one song isn’t enough–just ask Adam Sharp. Adam has a whole playlist of songs that remind him of Angelina. Angelina is a young Australian actress whom he met while playing piano in a bar. Recently separated, they have a torrid, passionate affair that is cut short by a work contract of Adam’s expiring, and Angelina going back to her estranged husband. Though both are in their early to mid twenties when they separate, Adam will never forget her. Years later, when he gets a message from Angelina, all the music and thoughts and feelings come back, and he wonders if he needs to reply to her. But will it be the same? Will Adam’s current relationship change? Will Angelina throw a wrench into his comfortable, calm life? Only time will tell. 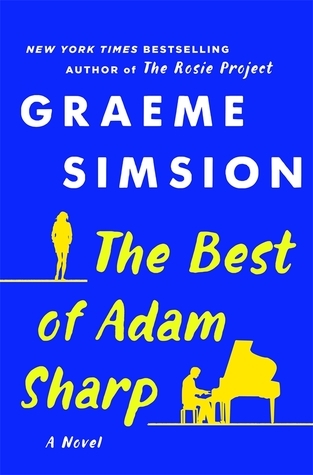 Graeme Simsion is best known, in my opinion for creating Rosie and Don in The Rosie Project and The Rosie Effect. 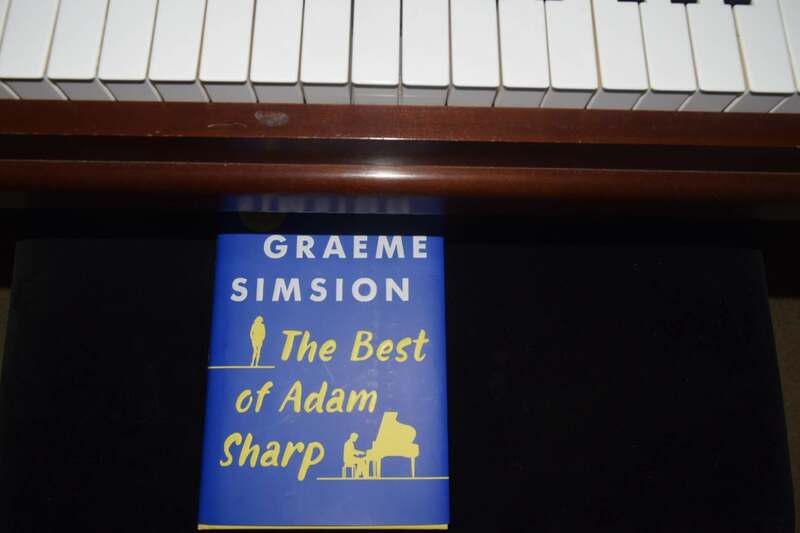 Based on my experience with those books, I expected Simsion to have a similar style in The Best of Adam Sharp–While Adam is analytical with a healthy dose of some creativity, the character of Angelina felt a little flat. It’s similar to hearing a dear friend talking about their significant other for years, and then being disappointed when you finally meet them because they’re nothing like the way they’ve been spoken about. 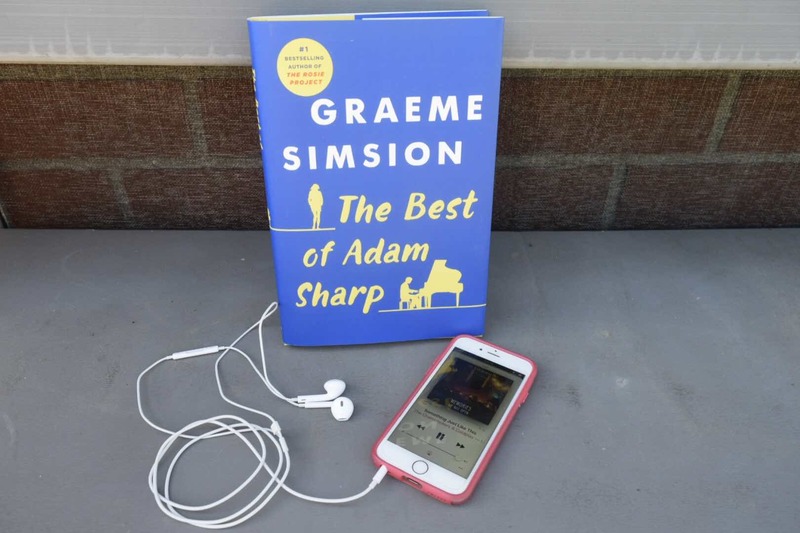 At just over 300 pages, Simsion fits a great story within the pages–there’s definitely a good backstory and a definitive ending to Adam’s biggest crisis. But, at the same time, the feelings and emotions that seemed to fly off the pages within his other works is not present in Sharp. The vibrancy I expected having listened to the playlist throughout its reading, falls just a bit short. I keep comparing the themes in this book to those of Nick Hornby’s High Fidelity. I felt like the soundtrack was a great idea, but as Adam keeps getting lost in all that is Angelina, and fixates on it, other parts of his character and his perceived intelligence were doubted. Yes, people make bad decisions when the heart is involved plenty, but I just thought it may have taken a different path in The Best of Adam Sharp. I had high hopes for something different for Adam, just based on his use of a logical mind and a creative one. This is taken from a recipe served by Absolut. What songs remind you of a particular person? Please share in the comments below, or reply via twitter. That drink recipe looks fab, I love gin… will have to geive it a try! Great write up for this book. Peter Kay has created a short series called car share which focuses a lot on music of the time. Thanks for sharing this review. I’m a huge reader, but have never read any of Graeme Simsion. I will have to check it out. Great to know it , I love a to hear and listening a different kind of music . I will definitely look for it .